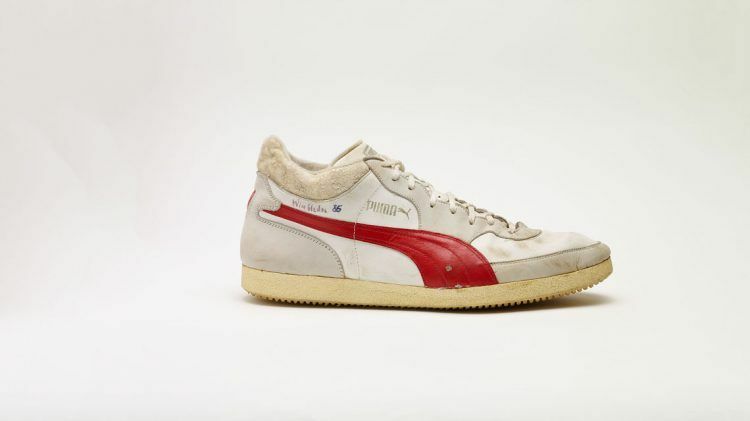 PUMA CATch up>>HOME TURF>>Want an autograph? “Are you crazy? You can’t just go off and have autograph cards printed!” The scolding from Armin Dassler was a severe one. 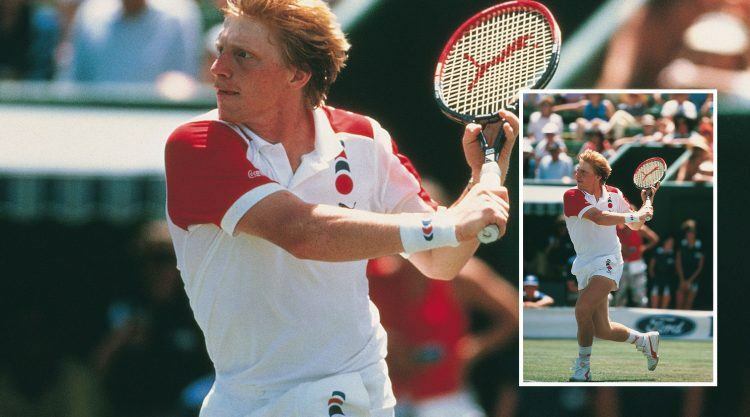 But then Helmut had just done what Armin had told him to do: To get autograph cards printed of that young 17-year-old, unknown tennis player called Boris Becker – whom PUMA had just signed after Adidas had turned him away. “But Boris wanted those cards”, was Helmut’s justification. However, Boris’ father had just called Dassler and said it was an impertinence to issue cards where Boris looked so distorted. Too late. Cards were printed and Helmut and Boris were off to the international sports exhibition ISPO in Munich in February 1985. No one there had heard of Boris Becker. And no one was interested in getting his autograph. The world was a different one in September that same year, when the two of them went to the ISPO again. 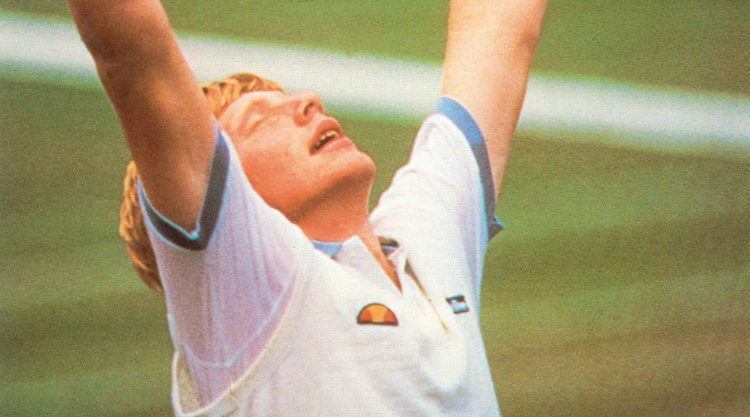 Two months before, Boris became the youngest Wimbledon champion ever and the masses almost squashed the PUMA stand – just to get his autograph. 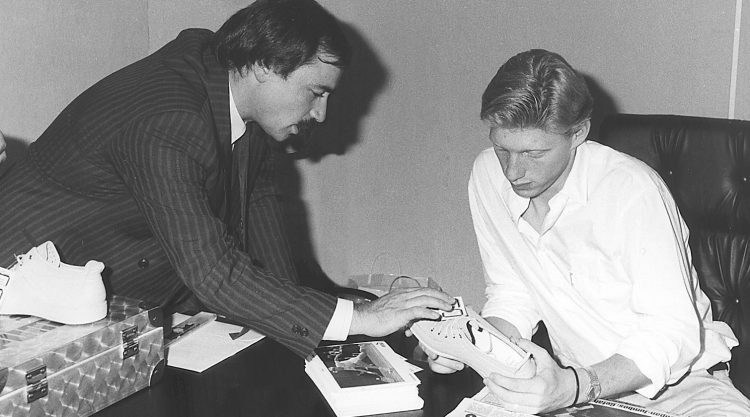 Young Helmut shows Boris a Special Edition lifestyle shoe, featuring Becker's name, that PUMA launched as a charity project. One Deutsche Mark of every shoe sold was donated to the Deutsche Sporthilfe (German Sports Aid).